Autumn is my favourite time of year. I always get so excited when the weather starts to change around the beginning of September. Don't get me wrong I hate being cold, however I do love to wrap up warm. Plus I love boots. All of the boots. 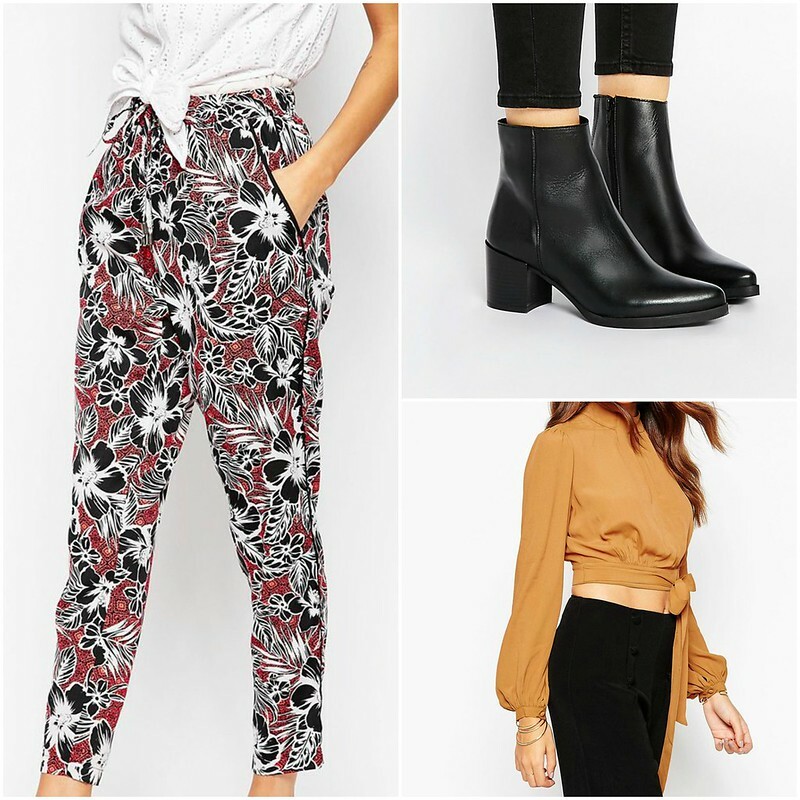 So with my mind firmly in autumn mode I decided to have a bit of an online window shopping spree at my favourite online store ASOS. 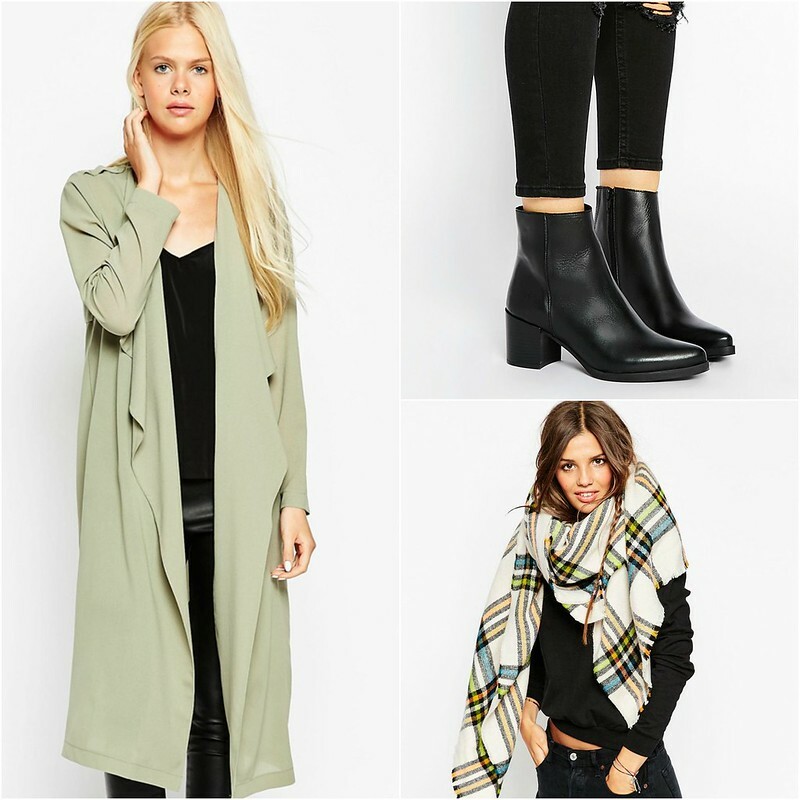 I find they always have exactly what I'm after plus I was looking for some inspiration for when I did finally have some money I could spend on woollen goods. 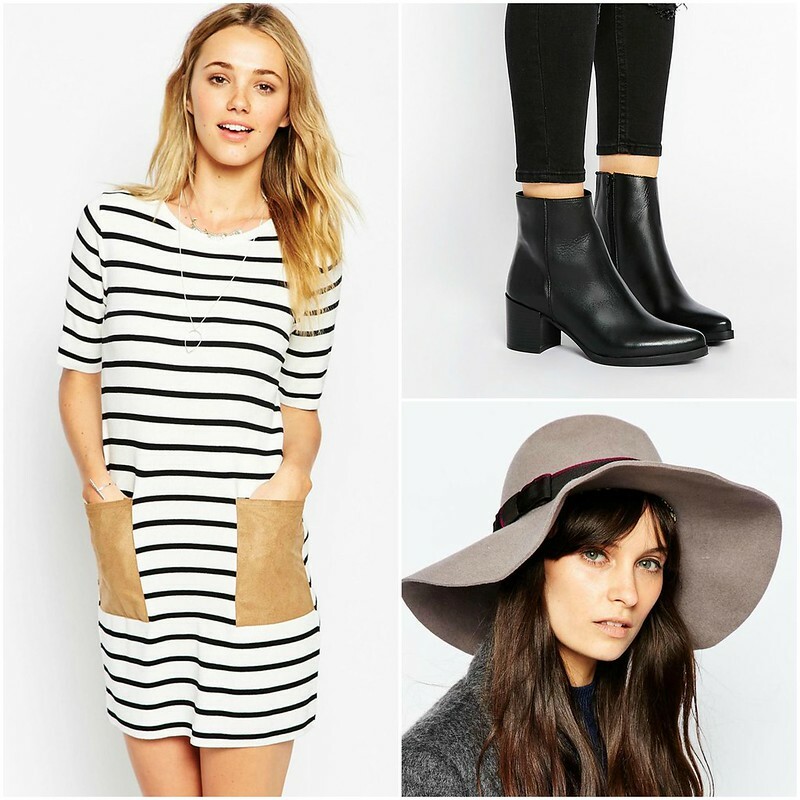 I was so impressed by their new seasons collection I thought I'd share a few of my top picks with you guys! 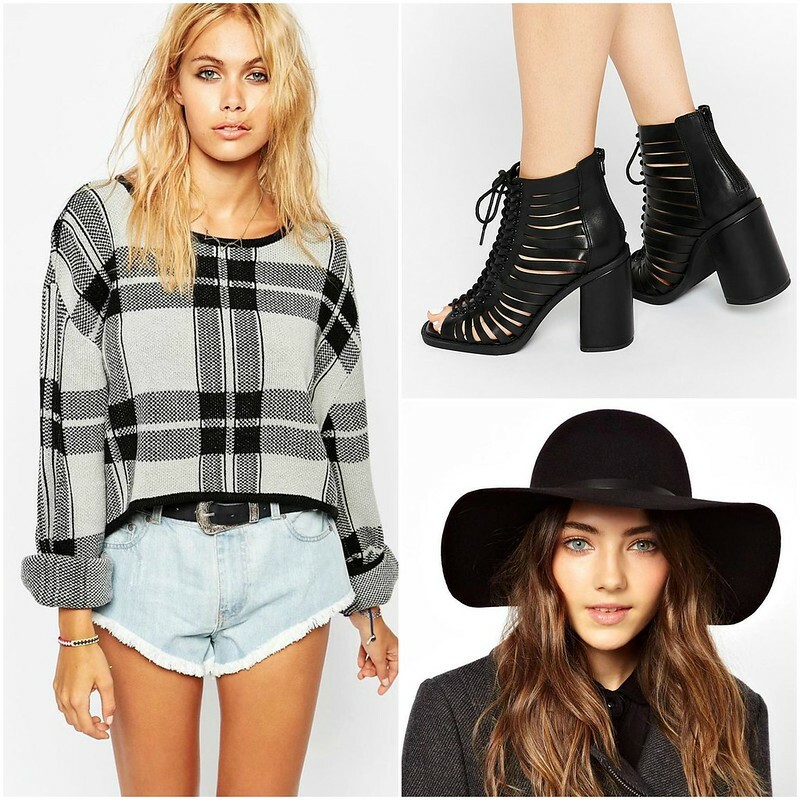 My favourites have got to be those lace up, block heal boots. I think they'll go so well with so many outfits. Plus they're a good day to night transition piece. 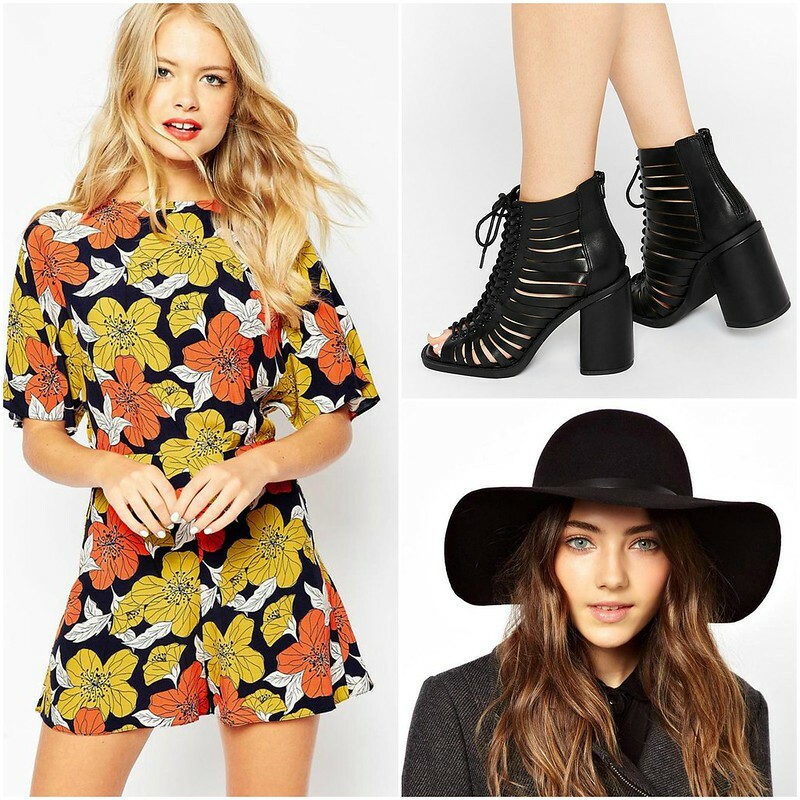 As you can see above I've paired them with a few items including that gorgeous kimono style playsuit (LOVE!) and a dress down checked jumper and fedora. 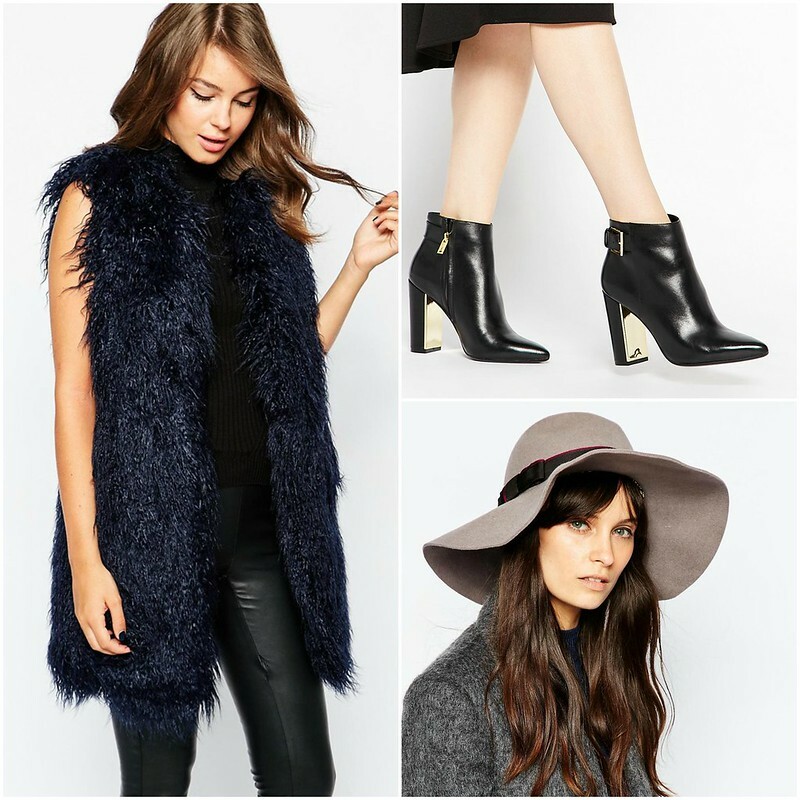 Boots like that provide so much versatility and at £45, they're a bargain! 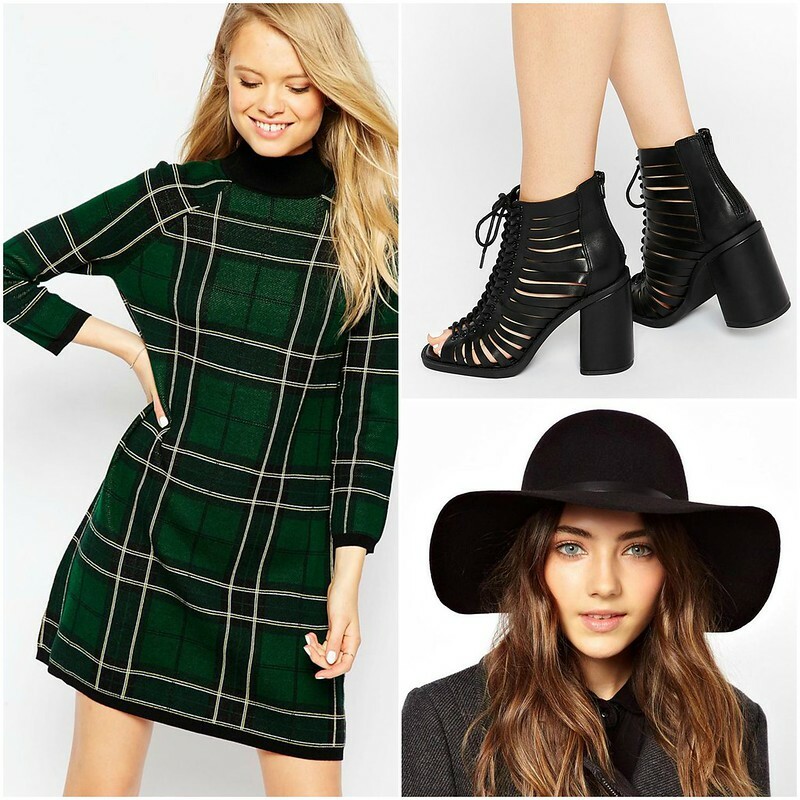 Another fave of mine has got to be that roll neck tartan dress. I can just picture it worn with woollen tights and ankle boots for an evening of fireworks in November, or even with thinner tights and heals for the office. 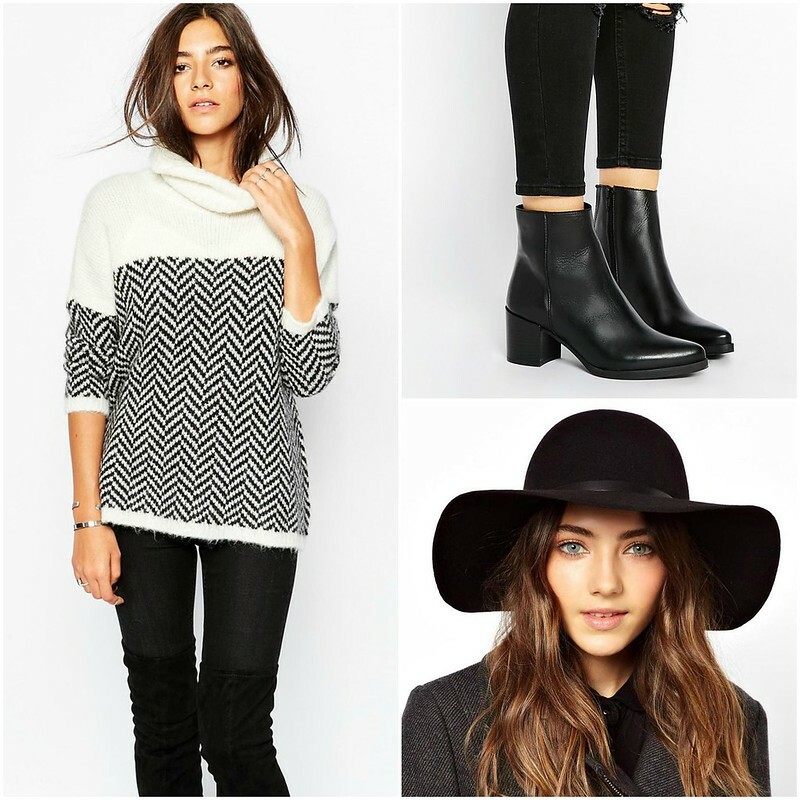 For me, autumn has always been about the heavy knits and ankle boots. Nothing new there. But this year I'm planning on jazzing things up with a few of this seasons top trends. Tartan being one of them. I'm definitely going to be donning a tartan skirt or two in the next few months when it's officially appropriate to start wearing tights again (can someone just confirm for me when that actually is? I feel weird wearing tights too soon after summer). 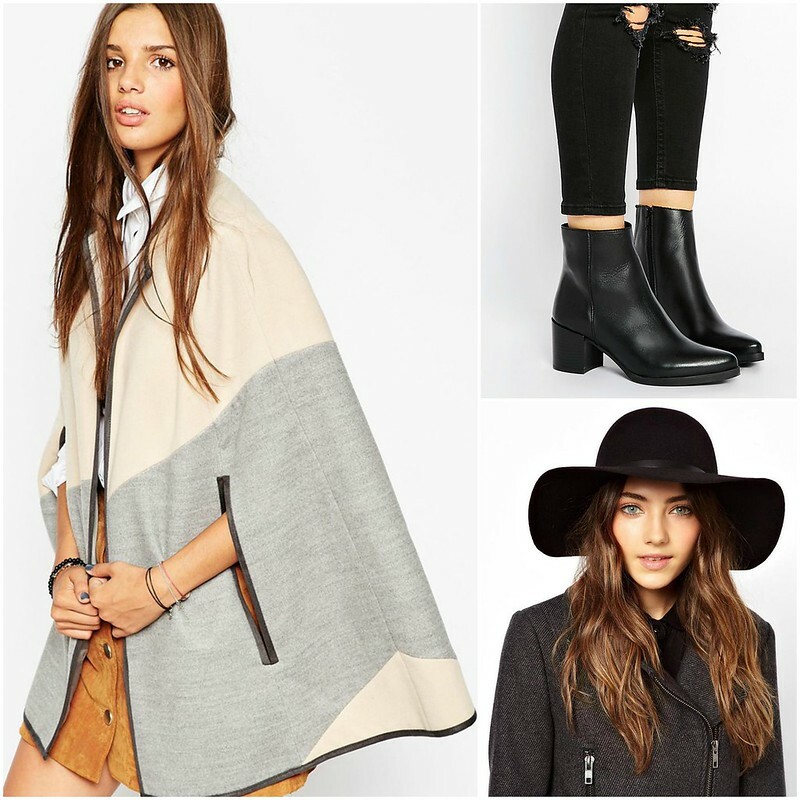 Another autumn trend is the good old poncho. There's so many filling up the stores at the moment in loads of different colours and prints. You could play it safe with something like the one above or alternatively, go a little cray with a brightly coloured print. 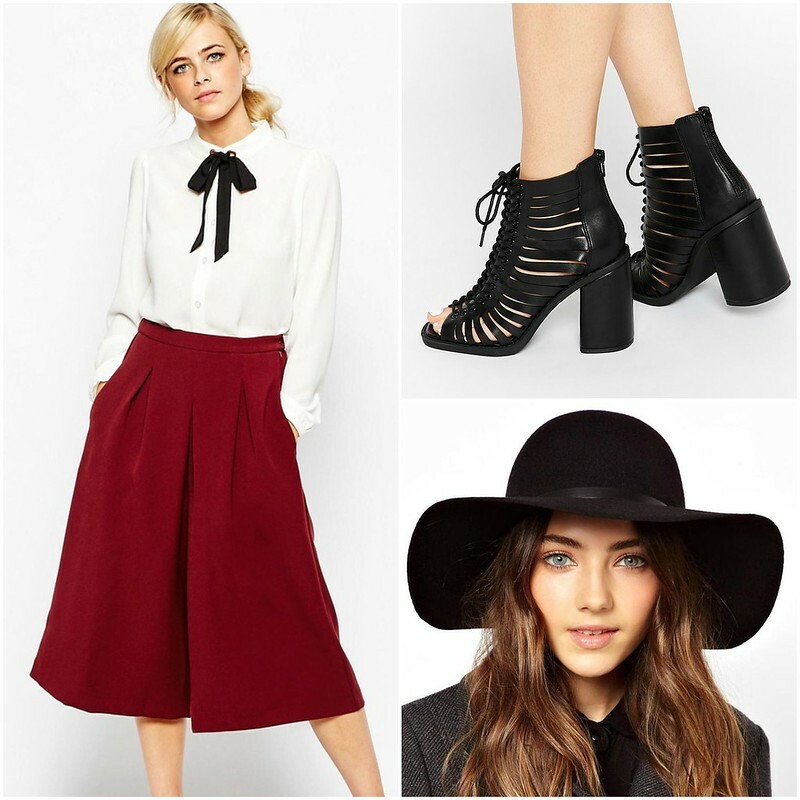 What's your favourite autumn fashion trend for 2015?